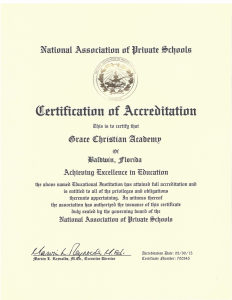 Grace Christian Academy is proud to be accredited by the National Association of Private Schools, North American Christian School Accrediting Agency, and the National Council for Private School Accreditation. 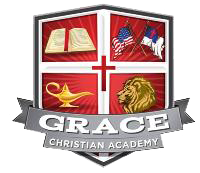 GCA students have the opportunity to prayerfully and financially support our school missionaries, Rick and Judy Hildebrand from the Rock of Ages Ministries. 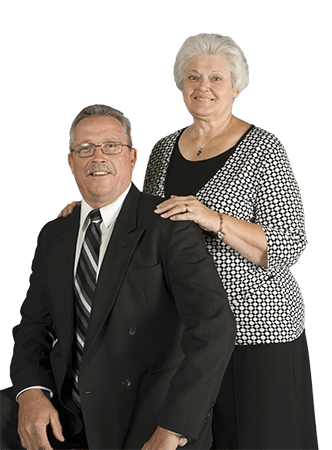 Each chapel service, students may support the Hildebrand's by giving during the offering. All offerings received during school chapel services are specifically designated for the Hildebrand's. 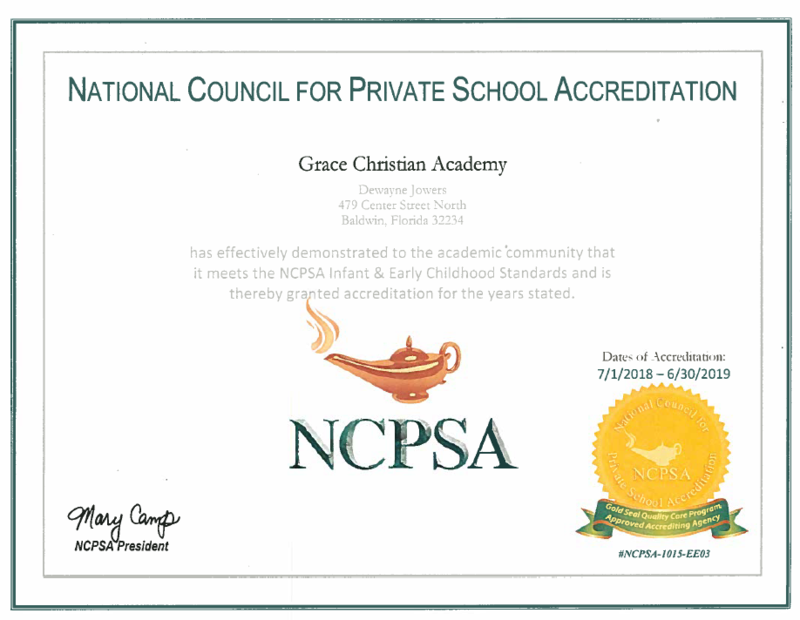 GCA offers classes from Voluntary Pre-Kindergarten (VPK) thru the 12th grade. 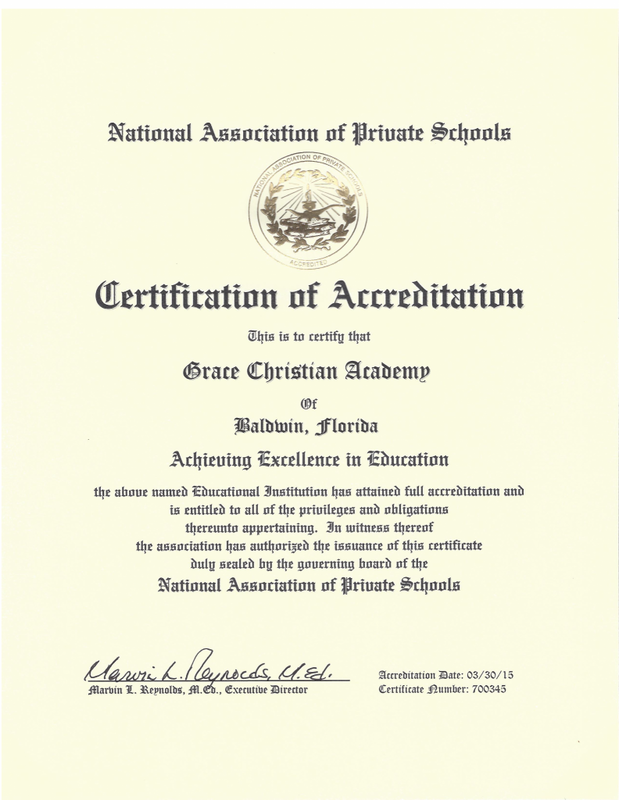 is free, with the certificate you obtain from the Early Learning Coalition of Duval. 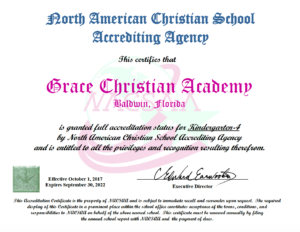 Detailed instructions for application of the necessary certificate are here. Thursday is pizza day. You may send money with your child to purchase pizza on Thursday only. Prices and ordering are done in the MySchoolWorx portal. Please use the button below to upload photos for consideration to be placed in the yearbook. 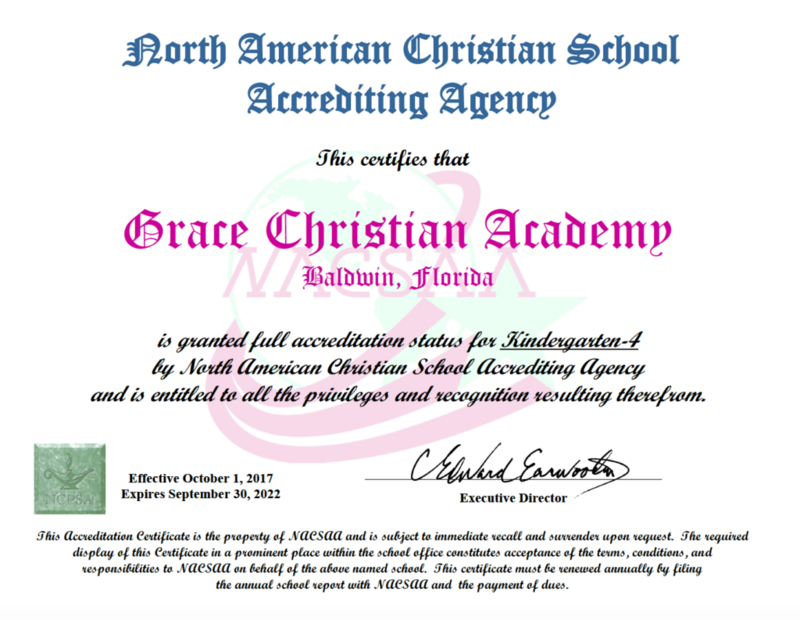 GCA uses a variety of curriculums and other resources to educate your child such as; A Beka, Landmark Freedom Baptist, Florida Virtual School, Khan University, Google Classroom and more. 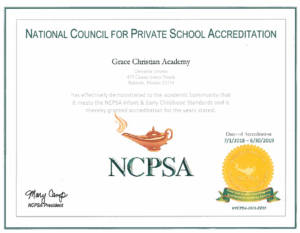 Additional programs offered include Title I services.